We found 806 results matching your criteria. 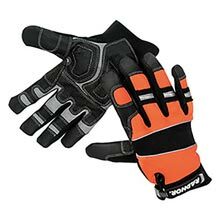 Get a grib on your tools with a pair of Cordova mechanics gloves while keeping your hands away from danger. When you need to get into tight places and still feel what your fingers are doing, these gloves will be a great fit for you. Put em in your tool box when you're done, 'cause you'll be pulling them out more than your wrench. Cordova's line of industrial strength Machine knit gloves conform closely to the wearer's hands creating for unmatched fit and extrodinary comfort. They are extremly flexible and come in a variety of thicknesses and coatings to match your exact application for a great price. Strong cotton work gloves are the all-round comfortable snug-fitting solution for general chore and light industrial applications. They are extremely economical and provide excellent comfort and dependable protection from dirt, heat, cold and abrasions. Dependable quality disposable gloves are a must when chemical and bio-hazard dangers are present. While you can throw away gloves at will, you only get one set of hands. Compromising value for price is not an option when it comes to safety. Good thing Cordova's line offers both high manufacturing standards and affordable prices. Protect your hands with soft, form-fitting and snag-resistant disposable gloves. Many different styles, thicknesses and textures are available for your exact glove application. Kevlar vs steel is 5x stronger per pound. It's light, flexible, as well as melt, burn and cut resistant put that together and you've got the ingredients for great gloves. Cordova's mastery of creating the perfect fit and unique coatings ensures that your workers will be safe and productive when high performance cut resistance is a must. 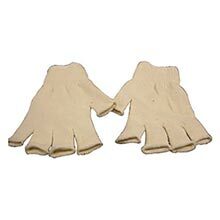 Leather gloves save money over time as they are super durable and effective for environments where abrasion-resistance and cold, wet or outdoor conditions are encountered. Your hands are worth the upgrade to Cordova leather gloves. Choosing the right type for your application is easy with a consultation, give us a call for the perfect grip and fit. 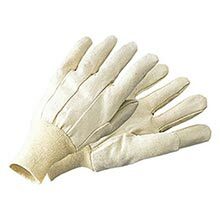 Cordove Gloves made knit yarns are the light weight industrial and commercial solution that's ultra-light on the bottom line. Dotted and screen coatings upgrade simple knit shells into more durable and productive offerings without breaking the bank or sacrificing usability. 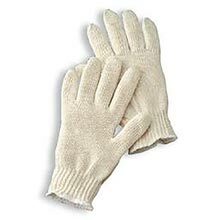 Knit gloves are form-fitting extremely comfortable and warm and work well in many chore and industrial applications. Industrial Supported Gloves in Nitrile Latex Neoprene and PVC offer durability and chemical protection as well as other specific job requirement features. They a created by applying an industrial coating on a glove liner. When heavy use, extra chemical protection or extreme environments in the application warrants a glove that needs to last longer than disposable models, Cordova supported gloves are your cost-effective answer. Chemical resistance and worker safety at affordable costs while maintaining optimum longevity are the goals Cordova gloves achieves with it's unsupported lines. 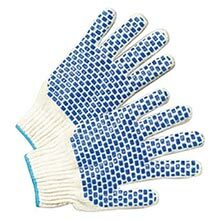 These gloves are manufactured without the liner that is present in supported gloves and as such are not disposable after a single use, but are also not expensive. 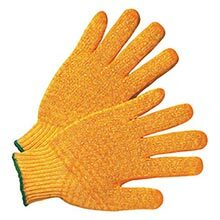 When a simple durable chemical barrier need exists while maintaining optimum finger dexterity, these gloves are the right choice for your workers and are Puncture & Tear resistant.